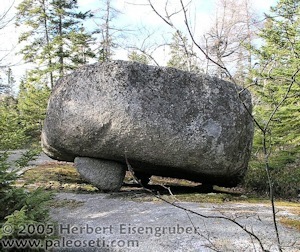 One of the most mysterious ancient cultures of the world is the megalithic culture. It's one of the oldest cultures known, much older then ancient Egypt. Traces of this culture can be found all over the world. What many folks from North America don't realize is that traces of this culture can be found right in their backyard. Unfortunately controversy the controversy about those places in North America is high and many archaeologist are skeptical it ever existed. But there are other factors that contribute to the denial and ignorance of those ancient sites. I have to admit that when I came to North America in the late 1990s I was skeptical as well. But then I stumbled across completely untouched sites in Nova Scotia where I could do my own research. 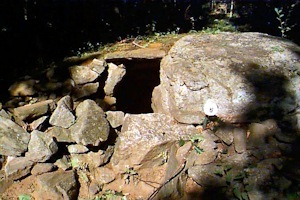 I connected with other amateur researchers and was witness to curious denial mechanisms of the official North American archaeology. I'm glad that I'm able to give you a rare gimpse into one of the most mysterious cultures in the world which has "collegues" worldwide. The best known members of this culture we find in Europe. 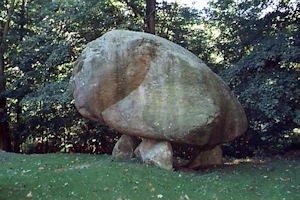 But Megalithic sites are pretty much on every continent. 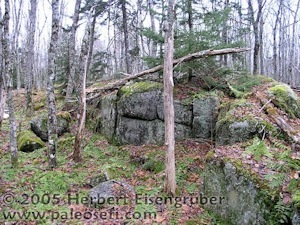 Exclusive on Paleoseti.com: The Dolmen und megalithic structures of Nova Scotia/Canada. Caution: Before you read on and click on a link, I would like to post this warning: On some of the sites you will find GPS coordinates posted, that will enable you to visit some of the sites for yourself. Many of the above sites - especially the ones in Canada are not posted anywhere. No road signs, not tourist information center will know about them. 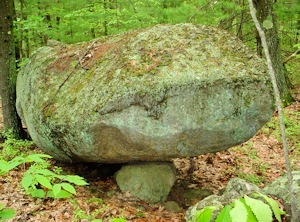 Some of the sites are located deep in the Canadian wilderness. Before you go out and visit them, make sure you know what you are getting yourself into. The Canadian wilderness can be harsh and - sometimes - life threatening. Prepare yourslef and your gear well. Take enough food and drink for two days with you, just in case. Let somebody know where you are going. It's preferrable not to go alone. Don't rely on a GPS alone, as they can fail like any other electroinc device. KNow how to read a map and a compass. Signal flares are always a good idea. There are also wild animals out there, the Canadian wildnerness is no petting zoo. Bears are dangerous! Especially mothers with cups are an imminent danger. It's a good idea to get a bear bell (available in every Canadian outdoor shop).